Donkey Kong Country Returns has been out on the European and Japanese Wii U eShops since last January. Finally, the Wii game will launch in North America this week as well. Nintendo’s website has it listed for tomorrow. Donkey Kong Country Returns will cost $19.99 on the Wii U eShop. Donkey Kong Country Returns is the next Wii game for the Wii U eShop following Super Mario Galaxy 2 – at least in Europe and Japan. Now that it’s out in the latter territory, we can share the game’s file size. 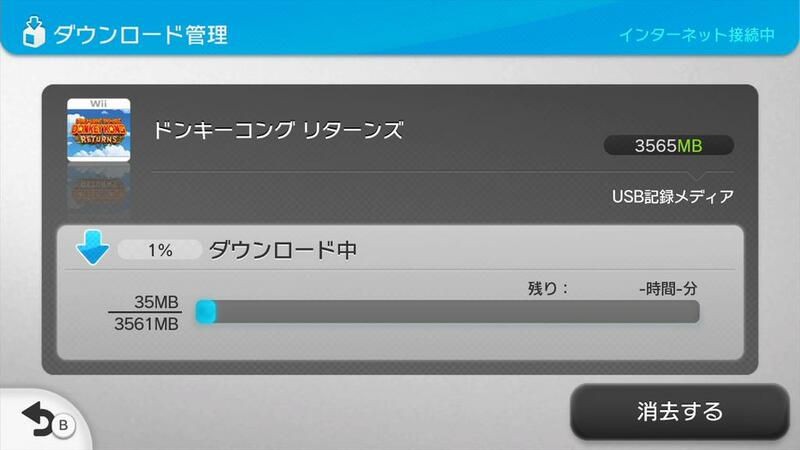 Donkey Kong Country Returns takes up 3,565MB of space. Donkey Kong Country: Tropical Freeze sold 35,000 copies in its first week on the Japanese market. How does that figure stack up to Donkey Kong Country Returns? When the Wii game originally came out, it sold 163,000 units in its first week. The 3DS port Donkey Kong Country Returns 3D also sold quite well having moved 104,000 copies. It’s not unexpected for developers to abandon a few ideas while making games. 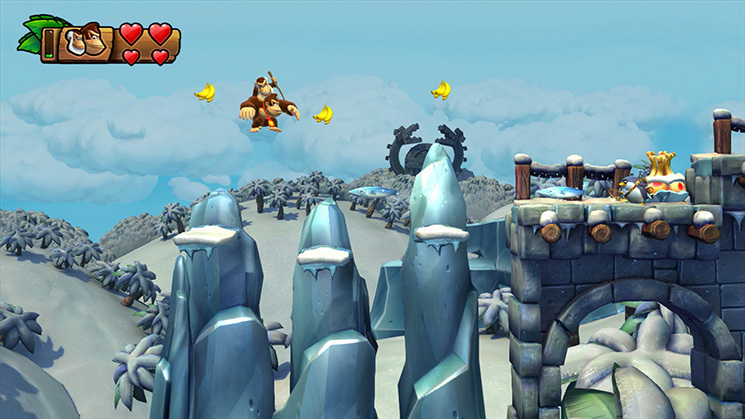 For Retro Studios, the team was able to take some elements abandoned for Donkey Kong Country Returns and implement them into its direct sequel, Donkey Kong Country: Tropical Freeze. 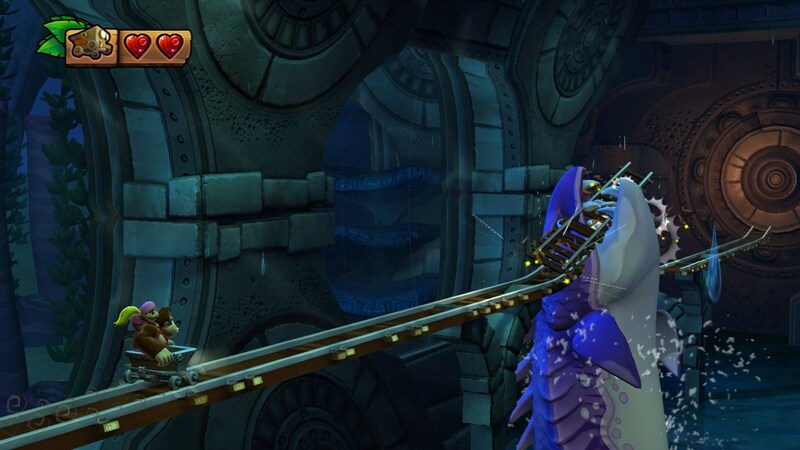 One feature scrapped from Returns but included in Tropical Freeze is the game’s dynamic 3D camera. Retro was forced to cut the idea due to a lack of time, but managed to save it for the Wii U title. Thanks to joclo for the tip. Retro Studios president and CEO Michael Kelbaugh commented on Donkey Kong Country: Tropical Freeze’s new 3D camera and how the Metroid Prime games influenced the company’s Donkey Kong titles as part of an interview with GamesTM this month. In doing so, Kelbaugh revealed that Metroid Prime’s engine and tools were used to make Returns. With every game we make, we get better. In that sense, yes, the experience we gained working on the Metroid Prime franchise was invaluable. Specifically answering your question about 3D to 2D, what you may not realise is that we constructed the levels in Donkey Kong Country Returns and Donkey Kong Country: Tropical Freeze in very much the same manner as we did the levels in Metroid Prime. 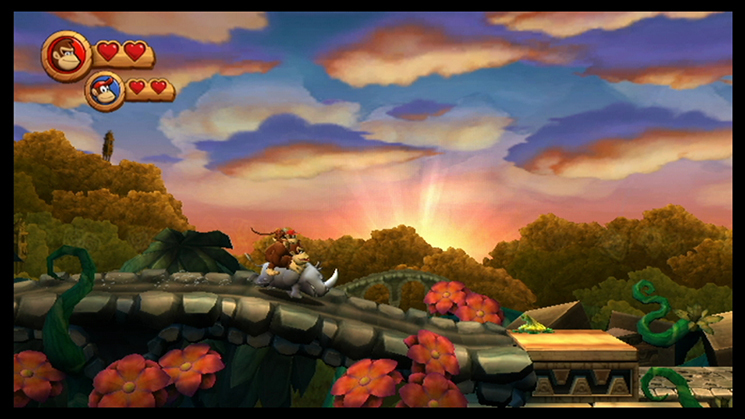 However, levels in Returns and Tropical Freeze are much, much larger and more detailed. And I’ll share this with you; we used the Metroid Prime engine and tools to develop Returns, so technically, the lessons learned on Metroid Prime were directly applied.